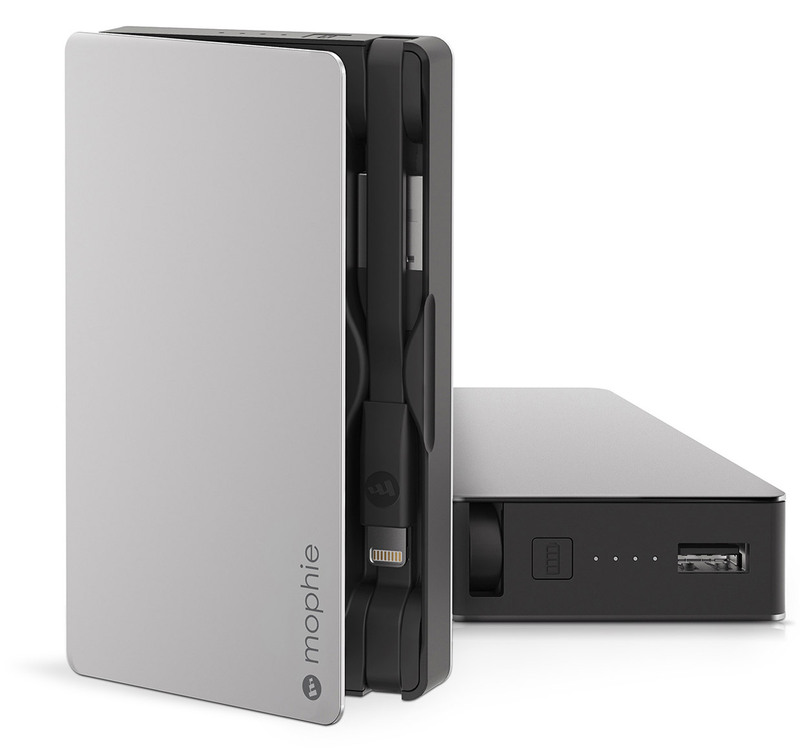 I upgraded to a Mophie Powerstation Plus, because it has built-in cables. After some research, I decided to buy the micro USB version and this Apple Lightning adapter. That way, I can charge all my USB devices with a single battery. I also carry a separate micro USB cable that I can use to charge devices from my laptop. This cable is itself stored in the case for my Bose QuietComfort 20i headphones, since it needs to be charged on a regular basis.